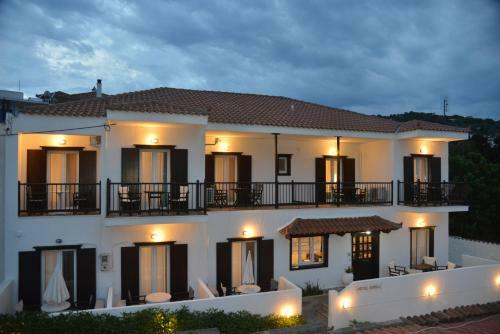 The 2-star Hotel Anelli is located in Skopelos Town, Skopelos. Hotel Anelli common facilities include garden	and bar. The property accommodates visitors in double or twin room, triple room and other might be available upon request. The rooms provide garden view. Room amenities include a/c, heating, fridge, etc. In the bathroom there are hairdryer and free toiletries. Pets are allowed with prior agreement with Hotel Anelli. Fields with * are required. The enquiry is sent directly to Hotel Anelli.